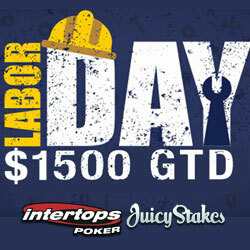 On Monday, September 3rd, Intertops Poker and Juicy Stakes Casino will host a $1500 GTD Labor Day Poker Tournament. Buy in for the Final Table is just $20, but you can also win your way to the Final in $2 satellite tournaments held every six hours, August 30th to September 2nd. You can register for any satellite or the Final by clicking on the Tournaments tab in your poker software and then select the $1500 GTD Labor Day tournament from the list of daily poker tournaments. Qualifying satellites for the $1500 GTD Labor Day Final will be held every day at 9:15 am, 3:15 pm, 9:15 pm and 3:15 am Eastern time. There’s also a $.99 Last Chance satellite the day of the Final. "Labor Day was originally created to celebrate the workers of America, give them an extra day off," reminds Intertops Poker's manager. "Nowadays, Labor Day parades, picnics and fireworks signal the end of summer to Americans! And for poker players it's a chance to compete for $1500 in prize money!" Intertops Poker and Juicy Stakes Casino are the most active online poker rooms on the Horizon Poker Network. Their poker tournaments and Sit & Go Texas Hold’em tables welcome players from all over the world. The poker rooms also have a selection of slots, blackjack and other casino games. 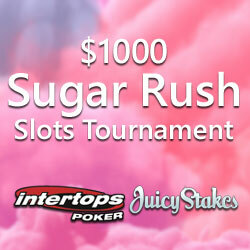 Further details are available at Intertops Poker or Juicy Stakes Casino. This weekend, Intertops Poker and Juicy Stakes Casino will give you 35% Instant Cashback if you bust a deposit playing any of their slot games from Betsoft or Worldmatch. Play online slot games August 30 to September 2 without a win and you can ask for 35% of your last deposit to be refunded. 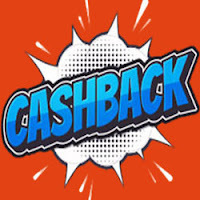 “If you’re the kind of player who doesn't like to play with requirements attached to your deposit, or you just don’t feel like playing with any bonus money attached, then 35% Cashback if a great option for you,” said Intertops Poker’s casino manager. You have until Wednesday to ask for 35% of your last deposit back via live chat, email or telephone. Up to $250 Cashback will be instantly credited to your account. Further information on this weekend’s 35% Instant Cashback offer see Intertops Poker Cashback or Juicy Stakes Casino Cashback. 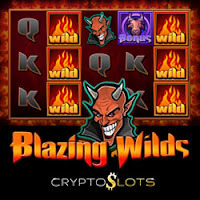 In keeping with their pledge to constantly add new games to their collection of unique slots and video poker games, CryptoSlots.com has just unveiled the new Blazing Wilds slot. Until August 28, the crypto-casino is adding up to 45% match to your deposits each day for this new slot. You can deposit using Bitcoins, Bitcoin Cash or Litecoins. Launched earlier this year, CryptoSlots.com set out to be a pioneer in the online casino industry as a cryptocurrency only site. Cryptocurrency deposits and withdrawals at CryptoSlots are fast, easy and secure. Transaction fees are low. Cryptocurrency is instantly converted to US dollars for play. Sign-up at CryptoSlots.com is simple and requires only an email address. Blazing Wild's five reels spin in a sea of flames. Symbols including Satan himself, his trident, and the fires of Hades spin on its five flaming reels. A Goat – an ancient symbol of the devil -- is the game's Scatter. Three Goats trigger 13 free spins. During the free spins bonus game, Bonus symbols award additional free spins. 15% added to deposits of $25-$100; 25% added to deposits of $101-$250. Over the next two weeks, a pair of Intertops Poker and Juicy Stakes Casino's sweetest slot games, Sugar Pop and Sugar Pop 2: Double Dipped from Betsoft, will be featured in the $1000 Sugar Rush Slot Tournament. From Monday, August 20 to Sunday, September 2, you will earn one point for every spin of $.10 or more on any of the featured games. First prize of $300 will be awarded to the player with the most points. Prizes must be rolled over at least once on Betsoft games before withdrawal. In the original Sugar Pop game, popping candy explodes when three or more of the same color touch. New candies take their place, creating new combinations. 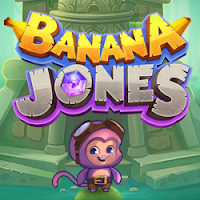 You advance through levels and get access to more and more powerful candies and higher pay outs. You will automatically earn tournament points just by playing either of these games. If you make it in the top ten point earners, you will win $1000 in prizes. The latest addition to Intertops Poker and Juicy Stakes Casino's $1000 GTD tournaments can be enjoyed with a pancakes and mimosas in Hawaii. The new Honolulu Brunch poker tournaments are held Monday to Saturday at 11:05am Hawaiian time! "It might be time for Eggs Bennie in Hawaii," said Intertops poker manager. "But that's already Happy Hour on the east coast of America!" Intertops Poker and Juicy Stakes Casino are on the busy Horizon Poker Network. They also offer slots and other casino games from Betsoft, World Match and Lucktap. In addition to the Monday to Saturday Sundowners, Intertops and Juicy Stakes also host a $4500 GTD Sundowner on Sunday evenings. All tournaments start with 3,000 chips for a buy-in of only $16.50. Blind levels are 10 minutes. Re-buys and add-ons are available. Stockholm Sundowners (8:05 CEST), New York Sundowners (8:05 pm Eastern), L.A. Sundowners (6:05 pm Pacific) and the new Honolulu Brunch tournaments (11:05 am Hawaiian) are held every Monday to Saturday. Combined, they pay a total of $24,000 in prize money every week. 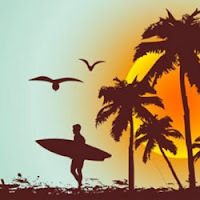 Wherever you live in the world, you can register for any of the Sundowner tournaments by clicking on the Tournaments tab in either the downloaded poker client or the instant play poker app and then selecting your choice from the list. Answer Trivia Questions on Facebook, Win Free Spins at Intertops Poker or Juicy Stakes Casino! From August 16-19, Intertops Poker and Juicy Stakes Casino are giving you a chance to win some of the 4000 free spins they are giving out to their Facebook friends. 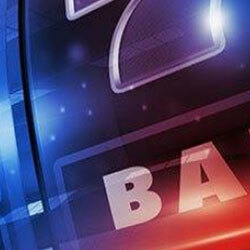 "The questions are all about our casino games," said Intertops Poker's manager. "So it should be pretty easy for anyone that's been playing our Betsoft, Worldmatch or Lucktap slots!" The most active online poker rooms on the Horizon Poker Network, known around the world for their many daily poker tournaments, Intertops Poker and Juicy Stakes Casino also offer a huge selection of slots and table games in their casino games sections. Answer trivia questions on the Intertops Poker Facebook page or on the Juicy Stakes Casino Facebook page and you can get your share of the 4000 free spin being given away. 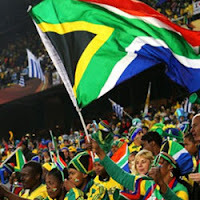 All winners will be entered in a final draw. Five will be randomly selected for another 2000 in free spins. Stardust, Slotland’s cosmic new space themed slot game, gives lots of fun for pennies a spin yet payouts during its bonus game can be out of this world. Until Thursday, the unique casino is giving active players a $15 freebie to try it ($25 for VIP players) as well as a choice of deposit bonuses. Available August 10-16, 2018 only. Previous deposit required. Valid for Stardust only. 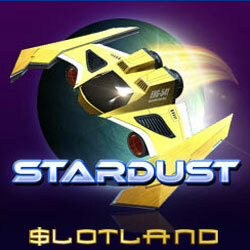 Slotland has been one of the world’s most popular and trusts online casinos for nearly 20 years. The unique casino offers more than 60 unique games. Slotland offers a variety of options for deposits and withdrawals including three popular cryptocurrencies: Bitcoins, Bitcoin Cash and Litecoins.